By CNN'S CHRIS BOYETTE CONTRIBUTED TO THIS REPORT. 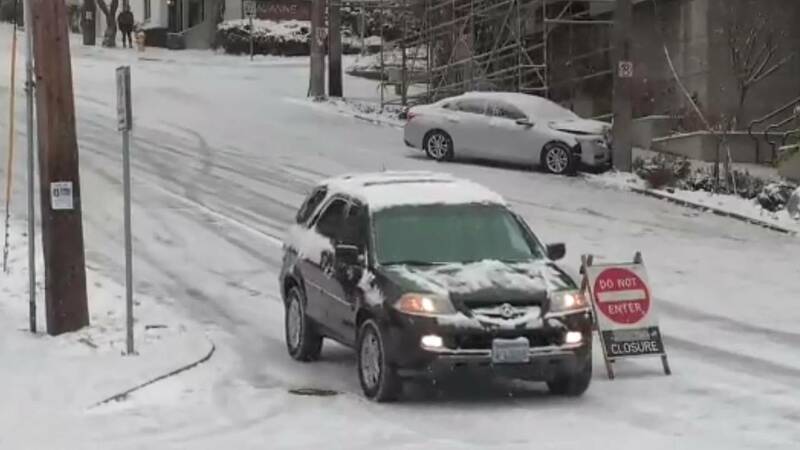 Seattle got almost the same amount of snow it gets in a year in one day, leaving officials scrambling to get people off the streets and Washington's governor declaring a state of emergency. By 4 a.m. PT Saturday, the airport had 7.2 inches of snow, and it was still falling. Temperatures are expected to remain below freezing until Monday afternoon, CNN's Brink said, with the forecast high expected to hit 35 degrees F.